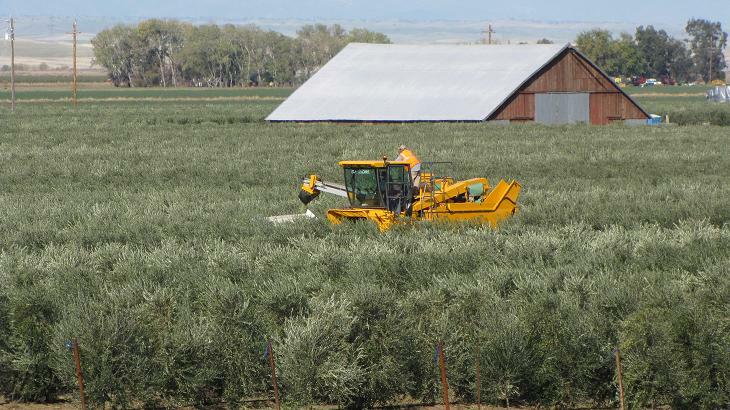 Harvesting Carriere Family Farms high-density olive trees for olive oil. 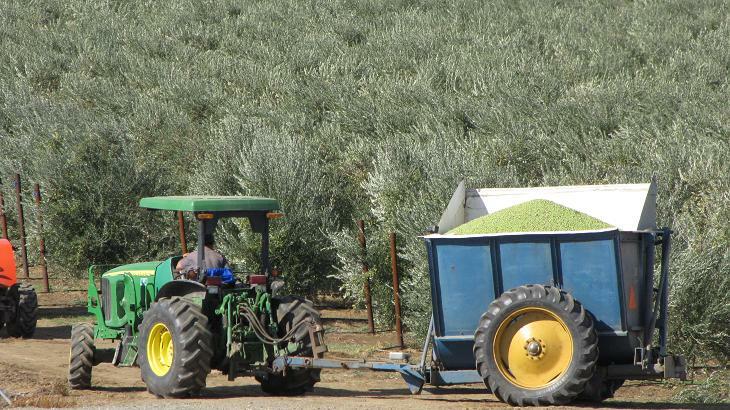 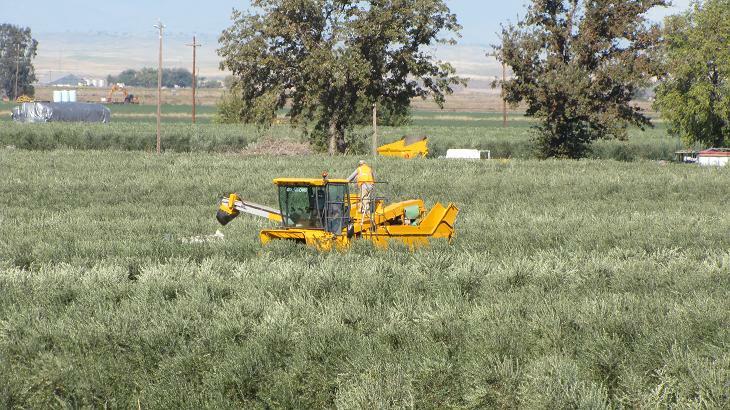 Carriere Family Farms started farming olives for oil in 2004. 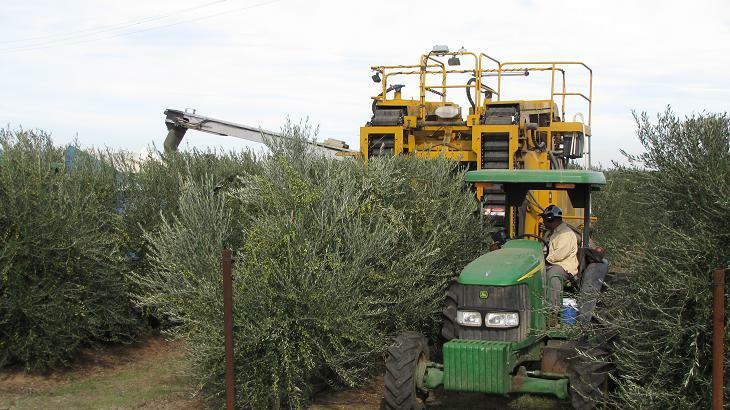 We currently farm high-density Arbequina, Arbosana and Koroneiki varieties. 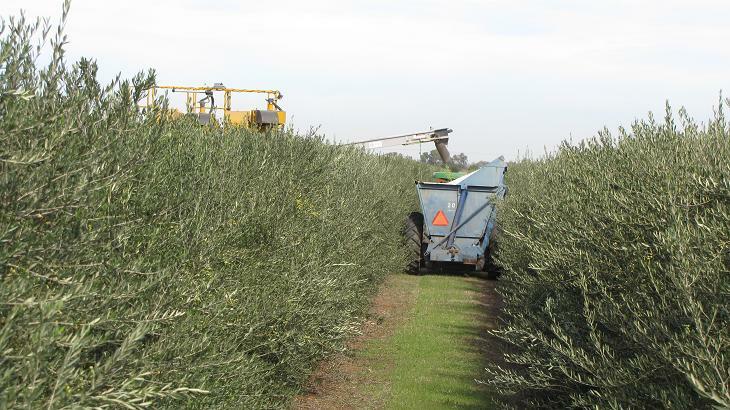 These varietals encompass the best taste and aroma characteristics and are well suited to high density planting. 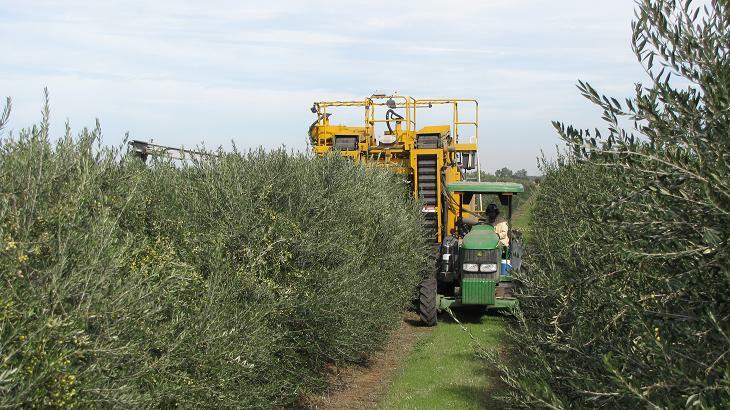 The olive trees are planted six feet apart with thirteen feet between each row, tied to a bamboo stake, and supported by a trellis wire. 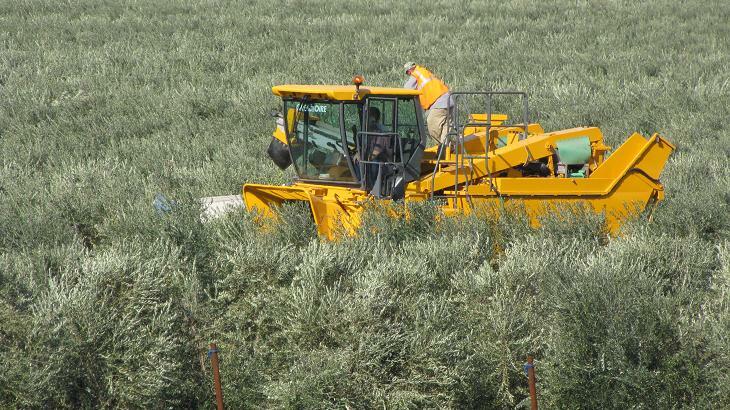 This spacing and configuration allows the trees to be trained into a hedgerow, looking similar to a vineyard. The water and nutrient needs of the tree are provided through an efficient drip irrigation system. 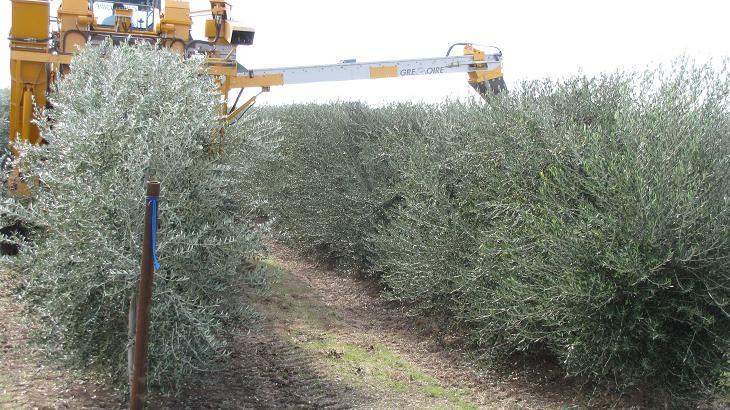 The timing and rates can be controlled and monitored for optimum production and olive oil quality. 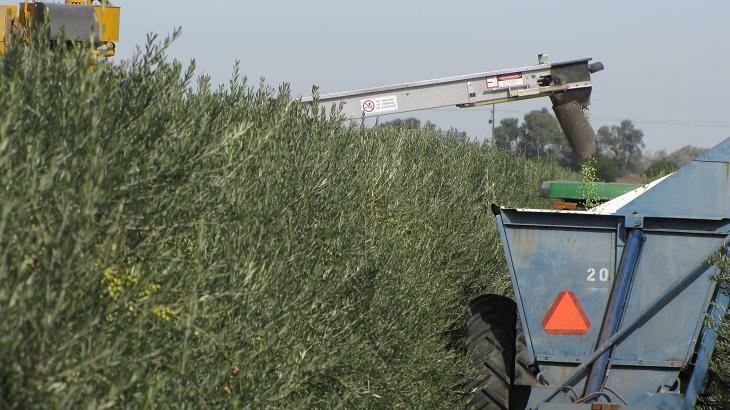 Generally, applications of nutrients are applied only as needed through June to promote the size and quality of the fruit and to produce new growth for the following year’s crop. 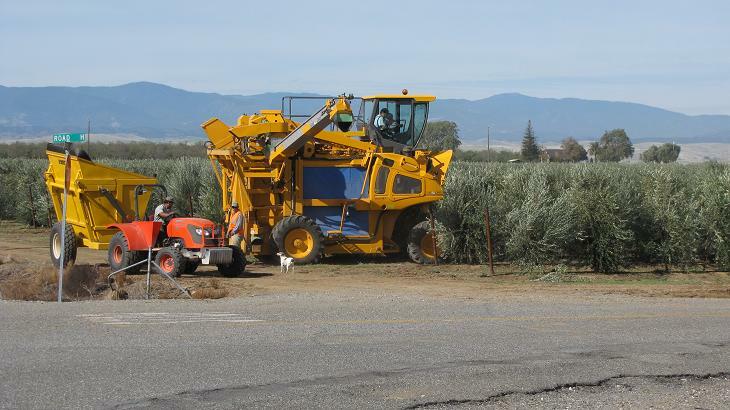 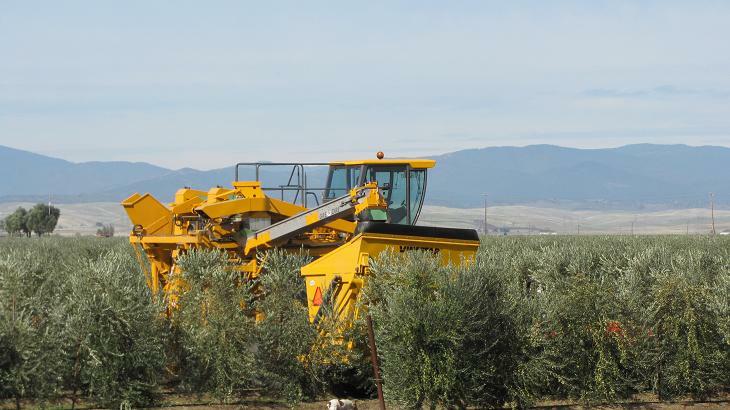 In November the olives are mechanically harvested with an over-the-row grape harvester. 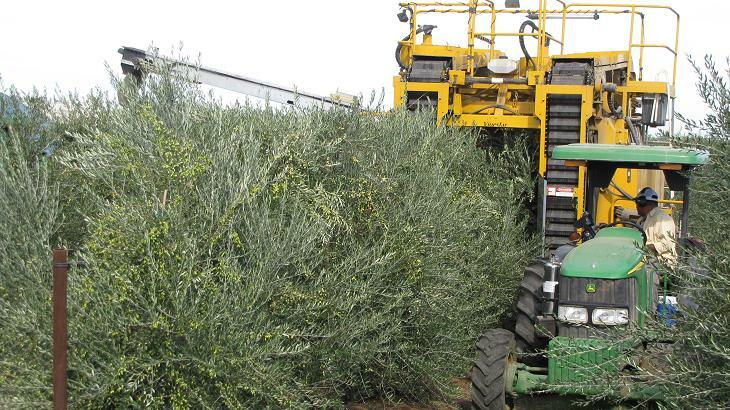 The mechanized process minimizes the harvest to milling time interval, in order to retain the highest possible freshness and quality for premium extra-virgin olive oil. 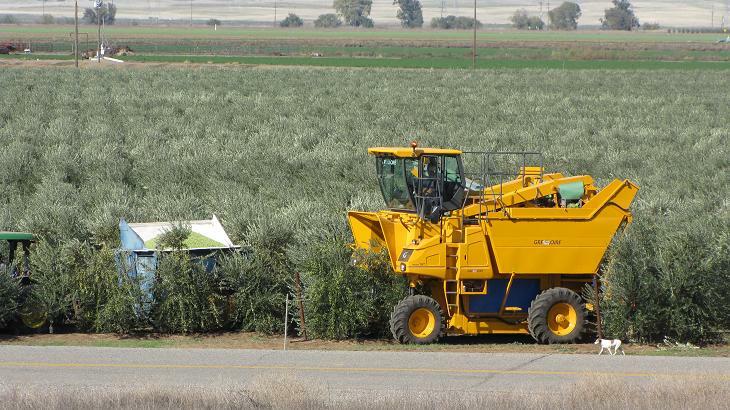 Olive oil may be purchased in our office. 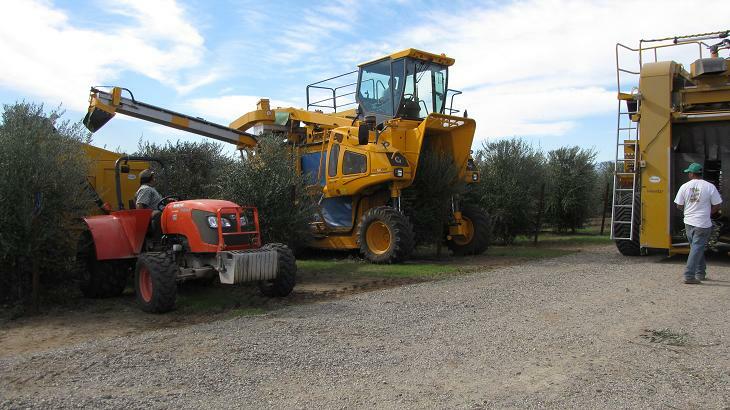 Please call for details and pricing.